Learn to make and decorate your cupcakes with recipes by Ivana Muntán, the creator of the blog and online store Cupcakes a diario (Cupcakes Every Day), which also offers courses and tutorials to initiate you in the art of pastry making. 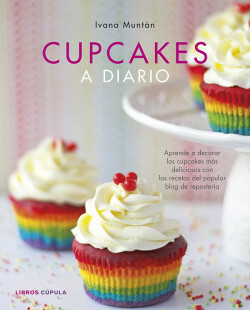 In this book, the author will share her most original recipes accompanied by spectacular photographs and give you advice about the best techniques, tools and ingredients to decorate your cupcakes. Learn to make delicious, colourful cupcakes with Ivana Muntán. Surprise people at parties with these colourful desserts!